Providing the Houston area with professional, fast and eco-friendly junk removal services. 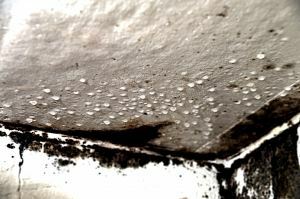 The appearance of mold often looks like a staying that’s growing on the wall or furniture. It has a fuzzy appearance that feels a lot like cotton or velvet. It usually gives off a musty or earthy older. The most common colors from old or black, green, brown or white. The first place to look from all damages and the lowest place in your home and that would be the basement. If you had any water flooding in your basement that has now receded, then you want to keep an eye on the baseboards and the walls where they meet the ceiling. You also want to make sure you pull out any appliances like a washer dryer and make sure the area underneath is dry. Mold flourishes in darkness and moisture. You want to check under the sinks and closets especially if they don’t receive proper ventilation. You should remove vent plates and inspect the ducts all throughout your house. Use a strong flashlight to check inside the vents. Any piece of furniture, rug, carpeting or curtain that has been damaged by water needs to be removed from the house immediately. Some of these items might be salvaged if they’re allowed to dry in the sun and then disinfected with bleach. However, if they can’t be saved, then they should be removed immediately. This might be difficult to handle with all the rest of the cleanup taking place. That’s why you can count on a company like Junk King Houston. These are professional junk haulers who are already responding to storm cleanup around the area. The quicker you call in Junk King Houston the quicker you can get rid of anything with mold. This entry was posted in Houston Junk Removal and tagged flooding, mold, water damage on August 28, 2017 by Junk King. Last updated August 28, 2017 .